Meet your Le Club Voyage ambassador! Nicole Lukacs is Azamara’s first-ever dedicated loyalty ambassador, meaning she will be the personal point of contact for all things Le Club Voyage. When you were a young girl what did you dream of being when you grew up? A firefighter! I even interviewed the Fire Chief of the Coral Gables Fire Department for a career day project. My parents. My parents have always led by example and have taught my sister and me many life lessons. Everything they have done, they have done with integrity and humility. They have shown us the value of hard work and shown us how to gracefully succeed and gracefully fail. Everything they have done in their lives has been for my sister and me, and for that, I am forever grateful. Overall, my parents are pretty amazing people. I know how lucky I am. In everything I do, I want to make them proud. They definitely are the biggest influence in my life. Where did you go to school? Why? What did you study? What was your favorite subject? I went to Loyola University Chicago for one year. Although I loved Chicago, it was too cold for this Florida girl. I finished my undergraduate education at Florida International University where I majored in Advertising and minored in Psychology. I was always interested in the Communications field. I actually started taking Journalism classes and then switched over to Advertising after taking a few classes. I loved the idea of pitching an idea to a client and seeing it through from start to finish. I also loved my Psychology classes, more specifically Forensic Psychology (sometimes I wish I would have double majored.) I've always been fascinated in how the human brain works and processes different things. Then in 2010, I decided to get my Master's in Business Administration at the University of Miami while working full-time at Celebrity Cruises. Getting my Master's was one of the best decisions I've made for my career. I studied areas of business I had never been exposed to, such as Finance and Accounting. The Business world is very different from the Advertising/Marketing world so I am very happy I decided to get my master's early in my career and expand my knowledge. I love working out. I do yoga, circuit training, and run. I also love boating. There's nothing like feeling the wind in your hair while standing at the bow of a boat. I also love food. But who doesn't love that? I really enjoy trying new restaurants. Sometimes I wonder what it'd be like to be a food critic. Basketball. I was the captain of my high school basketball team. As a young girl, I used to go to almost every Miami Heat game with my father. My favorite games were those in the 90s when Miami Heat's biggest rival was the New York Knicks. Why did you get into the travel category? I’ve always loved to travel. And as I get older I want to travel more and more. There's something about experiencing other cultures, delicious local foods, centuries-old traditions, etc. When in a foreign city, I love to walk around local markets and go to mom-and-pop restaurants. One of my favorite things to do while in Europe is to go to a market and order local "tapas" and a bottle of wine and have a picnic either in a park or on my hotel room balcony, watching the sunset. When the opportunity came to join Royal Caribbean Cruises Limited, it was a no brainer for me. Being able to discuss amazing destinations all day long, who wouldn't want to do that? Where is the most favorite place you've traveled? I absolutely love Stresa, Italy. It's such a quaint and lovely town. I was only there for 2 days but would like to go back soon. 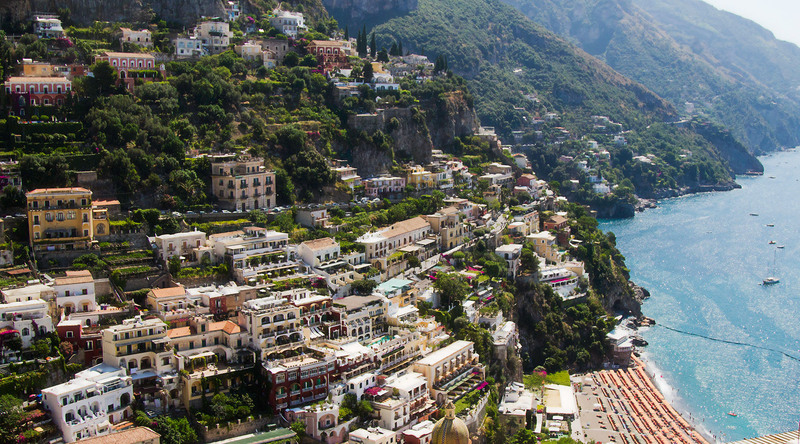 I also love the Amalfi Coast. You can't really go wrong with Italy. The food, the people, the wine, and the atmosphere are just breathtaking. Where do you want to travel that you haven't been yet? What do you want your biggest contribution to LCV to be? I want to continue to evolve Le Club Voyage and make it the best loyalty program in the travel industry. I want to make sure all our guests always have the absolute best vacation experience and keep coming back for more. I want our guests to think of a vacation with Azamara Club Cruises as a trip of a lifetime, except it doesn't happen just once in a lifetime. I want guests to come back every year or every few months (or never even leave) because their memories and experiences are that great! Everyone loves going on vacation. The experiences and the feelings, I think, are the reasons we go on vacation. Whether it's to escape reality or learn new and different things, I want to be a part of that experience. I want to be a contributor to guest's once-in-a-lifetime experience. As a boutique brand, it's important to get our name out there and make guests aware that we're not just a cruise line. We're a lifestyle, we're an experience. We make guests feel at home while onboard, and allow them to stay onshore (almost) as long as they'd like. Our guests are our biggest cheerleaders so I want to be there for them. I want to be a part of their vacation. I want to listen to them and give them what they want (within reason) so that they know, whether onboard or at home, I am here to make their life just a little bit better and easier. Within the next 20 years, I hope to continue to have great career experiences that teach me how to be a better person and employee/colleague. I see myself in an upper management role where I'll be able to make educated and experienced business decisions. I also hope to be able to mentor young professionals and help guide them in their career paths. Furthermore, I hope to still be in the travel industry and would love to still be working at Azamara Club Cruises or within the Royal Caribbean Cruises family. At 50, I also hope to be well traveled. I'd like to have gone to most of the locations I mentioned above. And most importantly, I see myself as a mother. I hope to have at least two, maybe three children by the time I'm fifty.